The ILO’s Programme Implementation Report is submitted to the ILO’s Governing Body and the International Labour Conference every two years. As an instrument of accountability, it describes the performance of the Office in achieving the results set by the Organization for the biennium. As a contribution to organizational learning, it identifies lessons and actions to further improve performance. 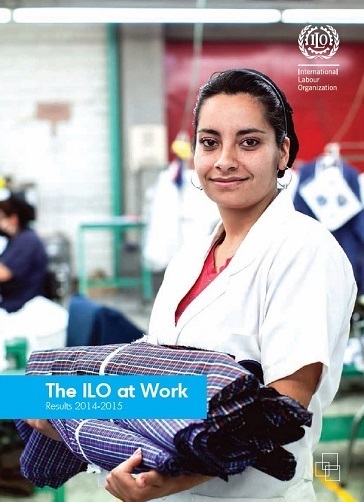 On the basis of the Programme Implementation Report, the ILO publishes its biennial Development Results Report entitled “The ILO at Work”. This report presents an overview or results achieved during the biennium, with additional insights into ILO programmes, success stories from the field and voice of beneficiaries. In addition, an Annual Evaluation Report and high-level evaluations of selected SPF outcomes and DWCPs, reported and discussed at the Governing Body level, complete ILO's integrated result-based approach.